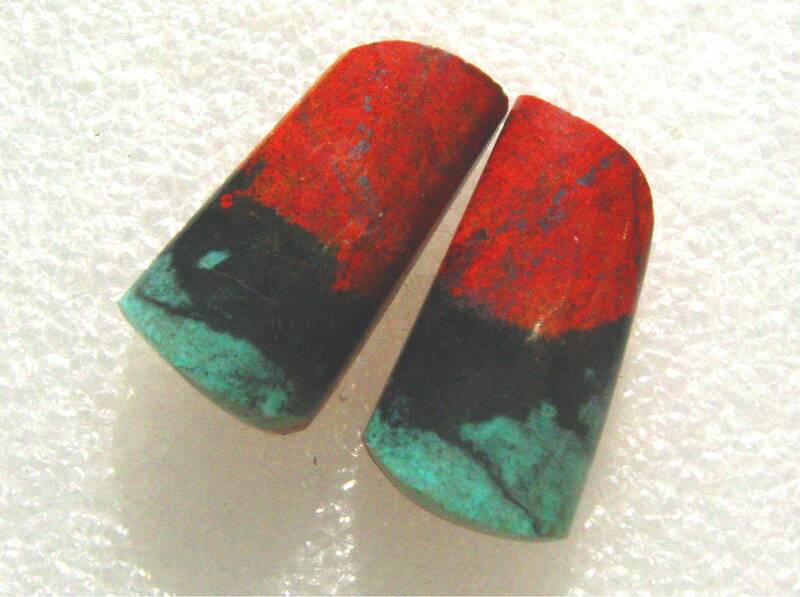 This small flat backed pair of Sonoran Sunrise/Cuprite cabs has been designer cut. 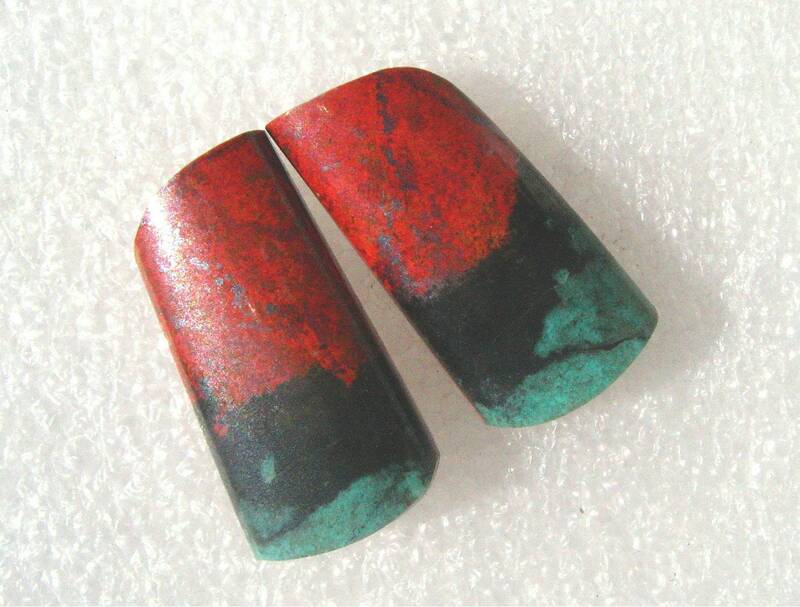 The matched cabs are highly polished, have a high dome, and a beveled edge. 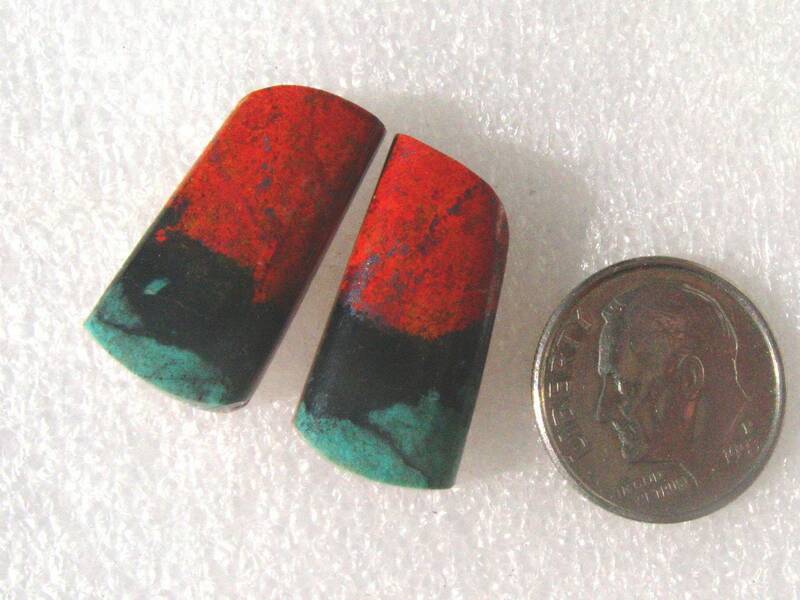 These cabs have lots of great color, and are one of a kind. I have backed them to prevent breakage. Buyer pays for return shipping unless item is damaged.